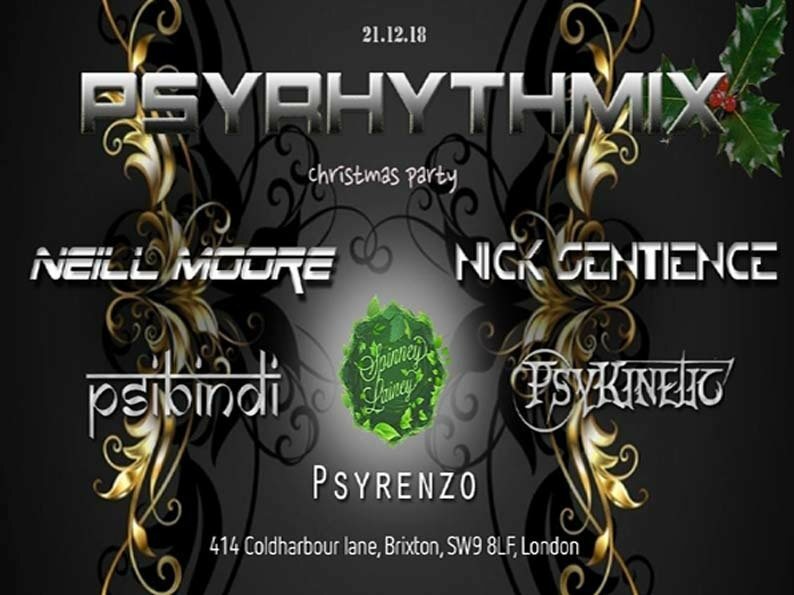 Psyrhythmix is happy to present a wonderful line up of colorful psychedelic music styles brought to you by some of the UK's best psytrance artists. For this edition, we will be celebrating with a festive special evening complete with Christmas decorations and treats that will get you right in the Christmas spirit. Come along and celebrate with us and rock it out to some amazing music with amazing friends. Club 414's little superstar who has been gaining so many followers since he started boshing out the psychedelic beats after changing his name from his trance alias 'Lorenzo Barrero'. He has been running TranceLucid at the club for some time and used to co-host Magnetix with Neill Moore back in the day. Get ready for some awesomeness.